Do I need to say anything? Really? But you know I will. Here goes: there is no such thing as chai tea. Chai tea is a classic example of redundancy. I've said it before, way back in 2003, but who read blogs then? Even less commented on them? The Libran in me does want to quickly clarify that Blogger didn't have a comments feature in 2003. It's true. But let's focus on this problem of redundancy instead, shall we? Either call it tea or call it chai. Please stop saying chai tea. As for chai latte? Latte? Chai is almost always made with milk so that's another redundancy there. And, if you use chai masala or a blend of spices to make, say, ice cream and there are no tea leaves in it? That's not chai ice cream. That's spiced ice cream or masala ice cream. Why? Because chai is tea, remember? If there's no tea in it, it can't be chai anything. The exception to this rule is chai masala. 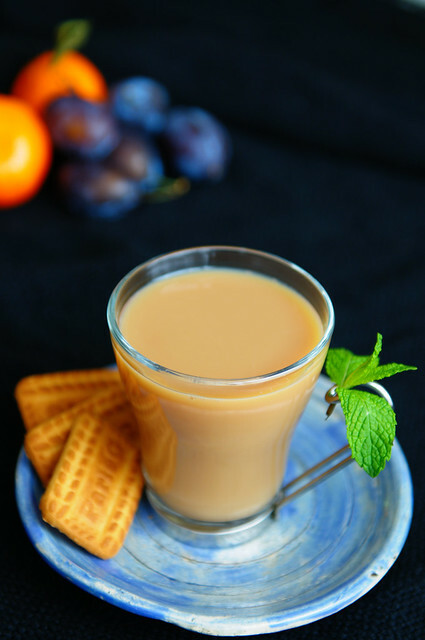 Cardamom and cinnamon may mean dessert to some but that is not why chai is had after a sumptous meal. You can write poetry about it if you want but really, our meals don't have courses and dessert is usually served with the main meal. Chai is often served after a meal as a digestive aid or to shake off that lethargy to enable you and your heavy belly to make an attempt to leave. My point? Chai isn't dessert. Chai does not have to have spices in it. Everyday chai is made with water, tea leaves, milk and sugar, the last of which is optional. If it is possible to understand what bouillabaisse is, without redundant qualifiers before or after to explain that it is a Provençal fish stew, then it should be easy to deal with the word chai. It's much shorter. Or just say tea. Because that's what it is: tea. So, please! Drop the tea because it's already there in your chai! I grew up drinking tea that had been steeped. My father did not care for the extra tannins that are released when tea leaves are boiled. We also do not add a sweetener to our every day tea but there's always a bowl of organic sugar or agave nectar for anyone who may want it. I use Lipton Yellow Label Tea Loose Tea. Boil water in a kettle. Add 2 tsp tea leaves to the strainer. 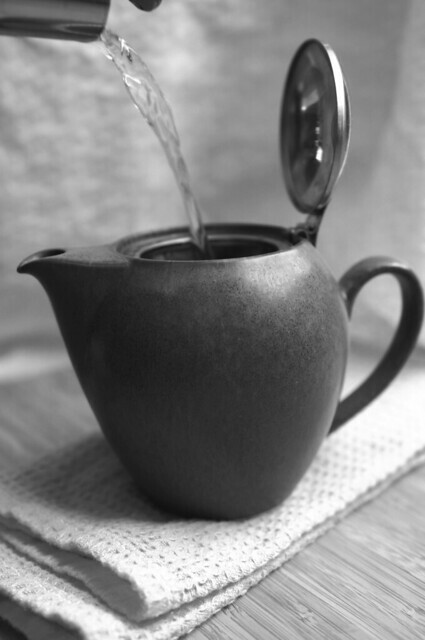 Pour hot water into teapot and allow to steep for 3-5 minutes. 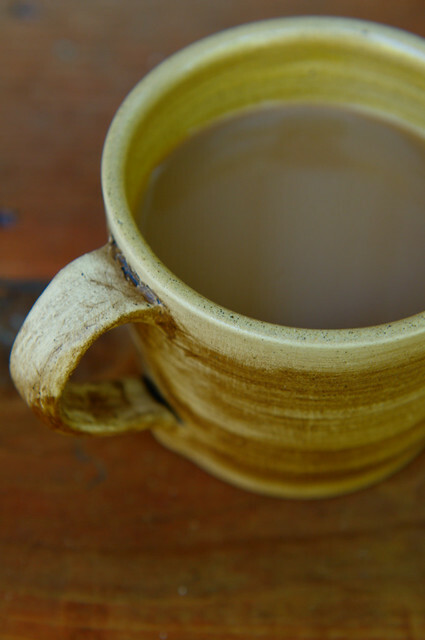 Pour into tea mug, add warm skim milk. Feel free to add a sweeter of your choice and enjoy. Pudina or mint chai is a refreshing change from everyday tea. All you need is 5-6 leaves of fresh mint. Heat 1 cup water in a saucepan. Coarsely tear 5-6 fresh mint leaves, add to water and bring to boil. Turn down the heat and add 1 tsp tea leaves. Simmer for a couple of minutes and then add 1/8 cup skim milk. If using, add sugar or sweetener of your choice. Turn up the heat until hot but do not boil. Strain into a tea mug. Great with Parle G biscuits. There is nothing quite like ginger chai on a cool day, to soothe those allergies and provide temporary relief for that nagging sniffle. Crush two slices of ginger, add to water and bring to boil. Strain into a tea mug. Great by itself, had sitting next to a window, watching the rain come down. Ginger mint tea is yet another variation that hits the spot. Use 5-6 mint leaves and 2 slices of crushed ginger for 1 cup of tea. The flavors complement each other beautifully. Chai masala and masala chai? That's got to be confusing! Chai masala is the blend of spices added to tea to make masala chai. Get it? Lightly bruise 2 green cardamoms, 1 clove, slender piece of cinnamon, 1/4 tsp of fennel seeds and 4-5 black peppercorns using a mortar-pestle. Add to water. Strain into a tea mug. It really is masala chai! This is a mildly spiced but pleasant tea. It is spicy but not overpowering. It soothes and excites, a perfect blend! 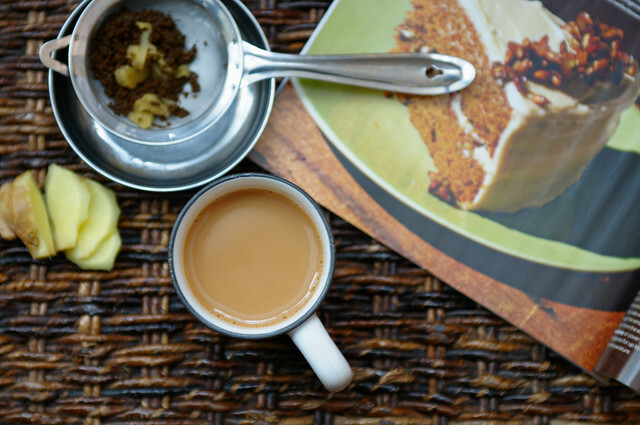 The beauty of masala chai is that you can create your own blend, one that appeals to your palate. Add more peppercorns for an extra zing. Add more fennel seeds for a more licorice-like flavor. Add more cinnamon for that distinctive sweet overtone. But always let cardamom take center-stage. When it comes to store-bought brands, I have a preference for Badshah Kamal Tea Masala but I use less than the recommended amount stated in the directions. I also add fresh ginger and a few pods of green cardamom. A lot of tea has been guzzled this past week - it has been a very stressful period. There were three fires, one of which was literally in my backyard, the most destructive wildfire in the history of Colorado. 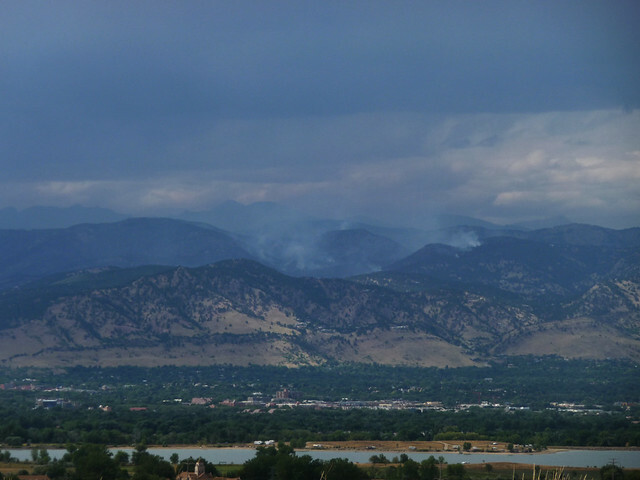 On Twitter, it is called #boulderfire but its official name is the Emerson Gulch Fire. It has claimed about 170 homes but luckily there were no fatalities. We saw it when the winds started whipping up a little past 11 am on Labor Day. The strange fast moving cloud quickly turned into an ominous dark cloud. It could have been just over the hill but the lack of wailing sirens indicated that it was probably further away in the foothills. My Twitter feed was soon filled with details of the fire being fanned by high winds. 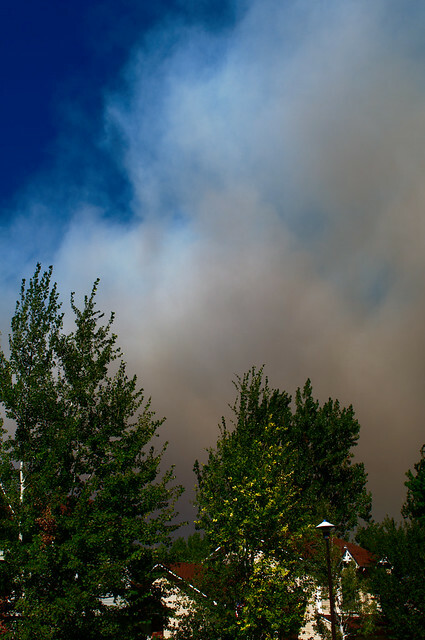 Ironically, the high fire danger that had been in place over the weekend had been lifted. I wondered if, like last January, it was because of an electric pole that had toppled over due to the high winds. But there were unconfirmed reports of a truck running into a propane tank leading to a BLEVE. We decided to go into 'evacuation mode' and quickly gathered things important to us, just in case we needed to leave. One backpack with passports and important documents, one medicine bag, one camera bag, two laptops, one bag with a change of clothes and two external HDDs. And if push came to shove, then honestly and truly, none of that mattered more than getting out safely. But we were safe as was our home. The fire was not moving in our direction nor was there a likelihood of it reaching us. Unlike those who lost their homes and all their belongings. A horrific tragedy. None of us were in the mood for our annual Labor Day picnic and the increasingly poor air quality made it even less enticing. 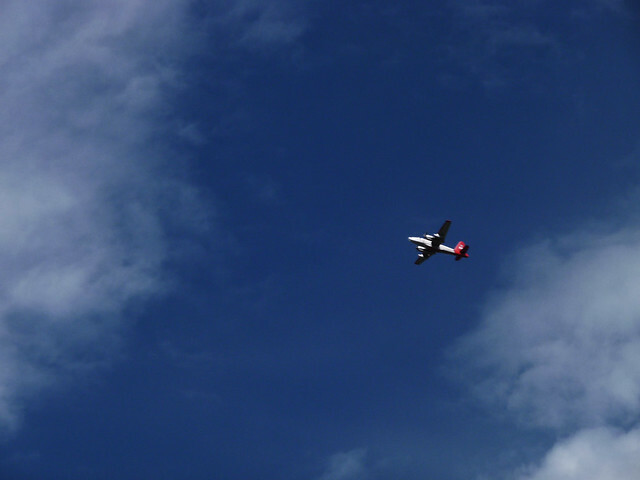 But we went anyway and when the winds died down, we saw the recon plane show up, followed by three slurry bombers. We watched hopelessly as the evacuation area grew, as thousands were forced to grab whatever possessions they could and leave their homes. The evacuation area came within 2 miles of Jen's mountain home. I got my guest bedroom ready just in case, hoping and praying that it wouldn't need to be used. Things swung from good to bad with most of western city of Boulder on evacuation alert Thursday night because of high winds. And, boy, were they scary winds. Gusts of over 64mph were clocked in the fire zone but luckily they died down by 1 am and only a few small fires were rekindled. A state emergency was declared and over 550 firefighters from around the country made our summer 'beach,' the Boulder Reservoir, their base. Firefighters rock! 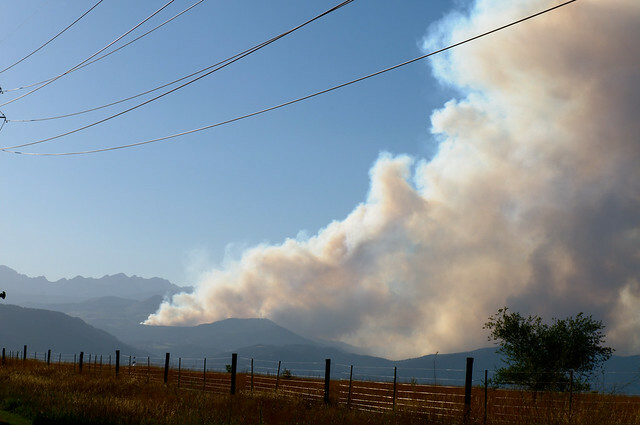 It is now Day 7 of the Boulder Fire and we're looking at 100% containment by Monday. People are being allowed back into their homes to pick up their belongings. The situation is improving. There are far better pictures than mine on the Flickr blog. There were two more fires around the country this past week. The deadly San Bruno fire, triggered by an explosion from a gas leak, and the Detroit fires, due to downed power lines. Yesterday was Ganesh Chaturthi, the day on which I like to make chavde. I didn't make any. Instead, I cooked dinner for my neighbors who adopted a beautiful baby boy last month and also sent some food over to another neighbor who has a broken ankle. Far more rewarding than making chavde and eating them ourselves! I also made chai. Lots of it. Who takes tea to a tea party? Not me. Sorry to hear about the fires, but glad you're safe. Never heard of chai tea, have heard enough of naan bread. Have often wondered if pizza pie is redundant, got to go look it up at least now. Must say I liked the third photo where the slice of cake on the book looks like it's an actual piece standing there! Sorry about the fires, but the chai looks lovely. My best friend is Indian and that used to piss her off too. I did saw in your FB page there was fire but didn't know it was so close to your home. Happy to hear your home and you all are safe. We were never allowed to drink tea/coffee when we were at home Mom always told not good for you kids. I stated getting the habbit of drinking Tea/coffee after getting married. Now I ave reduced my coffee drinking, but not tea. And black no milk or sugar. Wow, glad you were unharmed and glad to know there were no fatalities. 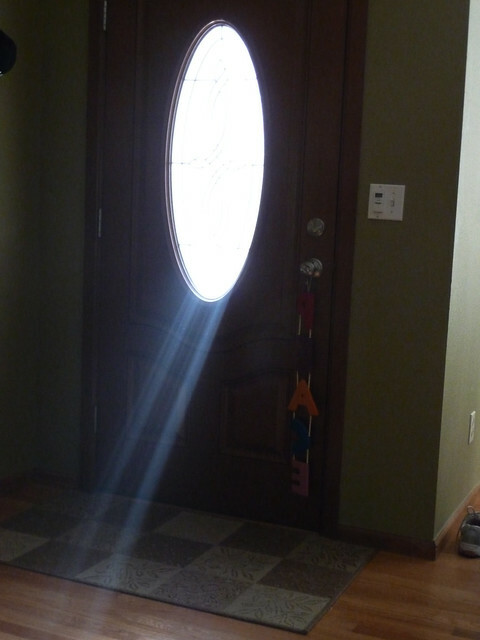 Love the picture of the ray of light thru the door. I have never had mint tea this way, but then again I do not like any tea other than the teapot kind of pure Darjeeling tea. While Arjun loves drinking masala chai, strong and with lot of stuffs in them. love your mugs and teapots! The fires and the aftermath were indeed a tragedy. We are so happy that you, and your friends were safe. Lovely and articulate rant about what I am sure most Indians either find amusing or irritating - Chai Tea. Argh! One never orders café latte with milk (at least I hope not). Speaking of chais, have you tried chai with holy basil, adrak and peppercorns? Mum makes that during monsoon and winter months. Truly divine. Sorry to hear about the fires- glad you and your family are ok. The Chai tea nomenclature is one of my 'peeves' too..and naan bread..lol. There are three new fires today, one of which we can see from Louisville. Sra, like everything else, maybe this trend will also make it to India? Don't get me started on naan bread! Who says tortilla flatbread? Sometimes I think the Indian restaurants are to blame for naan bread. Happy, thanks! I drink a lot more tea than coffee, too! GB, thanks! "Bhakti Chai" is a local Boulder company. Their bottled chais seem to be a hit but I still prefer my homemade tea! Soma, Medha took that pic cos she couldn't believe her eyes! And "piche back karo" is hilarious! Marianne, can you see the plumes from the Loveland fire? It's so sad. Galtenbergs, thanks! Your Mom's chai sounds divine! In the monsoons, we would buy bunches of "gavti chaha" (lemongrass) from the streetside vendors and rush home to warm ourselves after a nasty commute. PPP, thanks! I am in good company then! Sorry about the off and on again fires. My respect for fire fighters has increasing after coming to this country. They do ROCK! As to the chai tea, yeah, I too wince everytime I hear it. And naan brea! Leave it to Sra to point that out. I have to say, as much as I love tea, I like mine "kadak" which means no seeping the tea leaves and it has to have ginger and milk and sugar. The masala chai I too love, though I have never made the masala at home. I was happy to see this because chai tea and naan bread are two of my peeves too. Beautiful post Manisha. I love your pet peeve. I never understood why they call it Chai Tea Latte (and I hate the taste of it). I have been thinking about writing a post about chai and never got to it so far :(. 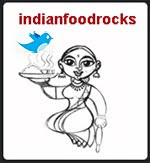 I am going to try adding fennel seeds and black pepper, never tried that. Those fires do sound scary, not to mention the health issues it might be causing some even from afar. Somebody could read your hand in the picture where you are holding the masalas, it is that clear and sharp. I remember seeing these 'things' on the menu in the US...I am with you! Are you planning to be the last one in at the party? I for one wouldn't complain if you brought pots of your teas to the party! But, if you insist, I will offer all the teas that are needed at the party - armed with all your recipes! I usually steep my tea but love the chai my sister makes from the same tea leaves; somehow, mine doesn't come out as good. A whole month of unstoppable rain has meant that I have made quite a few cups of adrak chai. Holy basil is another good addition. A friend of mine used to pluck a few ajwain leaves from her pots and add it to the cup before pouring tea - another interesting flavour. This weekend I had a good adrak chai on top of Guru Shikhar, the highest point between the Nilgiris and the Himalayas! Sorry to hear about the fires really glad you are safe though. Now I couldn't agree more on this whole Chai tea thing. I thought may be its just me, now hearing it from you makes me feel better! Love your blog. You are so talented. Glad u all are safe. It's the same reason why we have to speak English "correctly" and pronounce names "right", while I am addressed in emails with a random shortening of my full name which makes it a Man's name for heaven's sake! This inspite of the fact that my signature has my full name - so one just has to copy paste PLUS I sign each mail with my short name which has four letters - how hard can it be? Locely pics and a great tutorial on chai :) I don't drink tea but have been surrounded by finicky tea drinkers - grew up with parents and now married to one! And I can tell you this - there is hardly any tea stall in India now where you get plain chai - its always masala chai, which Hubby cant stand. We figured that this is probably because it helps mask the bitterness of constantly boiling the tea. Glad your area stayed safe - its scary to imagine when our life can actually come down to a few bags - makes you wonder what all the other trappings are about! Couldn't agree more about the "chai tea" pet peeve. Any chance of some gyaan about Kashmiri kehva? 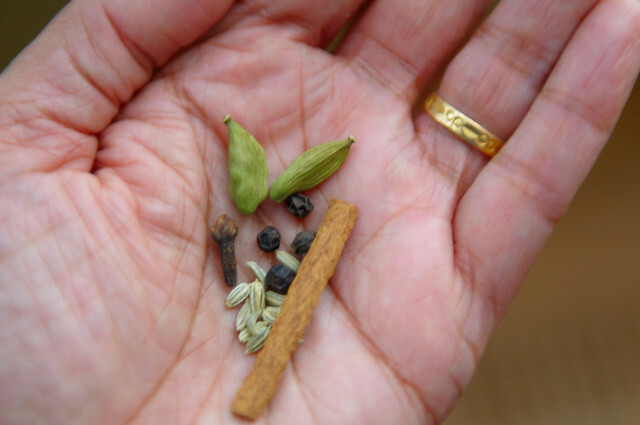 Lovely instructional post on the various tea and spice blends.